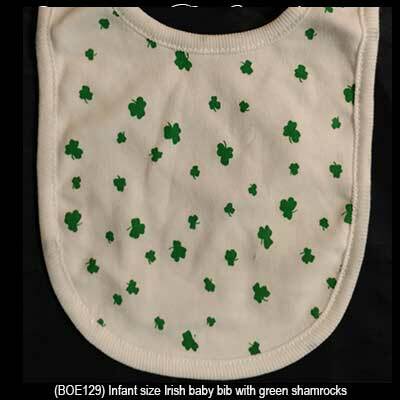 This infant size Irish baby bib features green shamrocks. This Irish baby bib is sized for an infant and it features printed green shamrocks on white cotton. 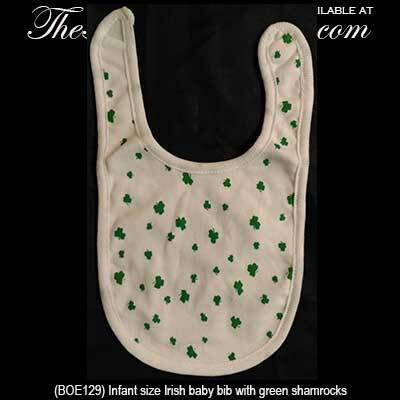 The shamrock baby bib measures 6" wide and has an embroidered edge along with a Velcro closure. This Irish baby gift is received with a shamrock history card, complements of The Irish Gift House.